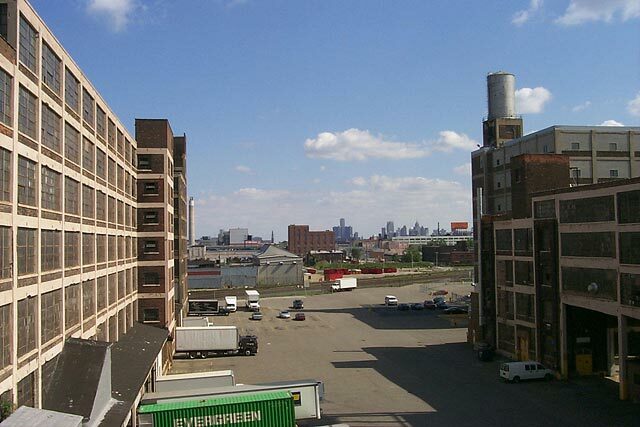 The skyline of Downtown Detroit as seen from the Russell Industrial Center, located in the NE corner of the I-75 & I-94 Interchange. One of the many properties owned by controversial Detroit developer Dennis Kefallinos. 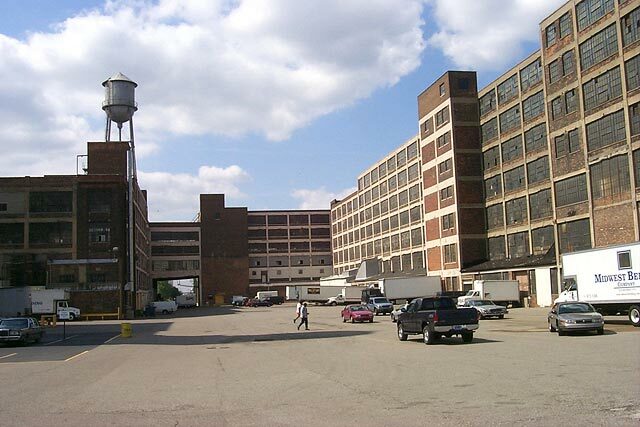 The Russell Industrial Center originally manufactured automobile bodies for several companies. Today it houses numerous small businesses and artist studios.